Promo: 10% off with promo "eatcomplete" using Makers Website link above. Ambronite’s mission is to transform humans and our planet from surviving to thriving, through a sustainable plant-based lifestyle. 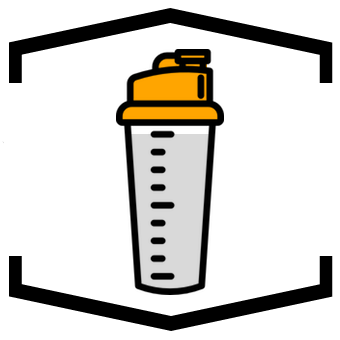 Their Complete Meal Shake contains 100% of everything human body needs and quenches hunger for 4 full hours. Ambronite’s formulation is composed entirely of Real Foods and they are free of artificial additives, GMOs and preservatives. Ambronite has customers in over 30 countries and has been covered by e.g. TIME Magazine, Wired, Wallpaper and Business Insider. 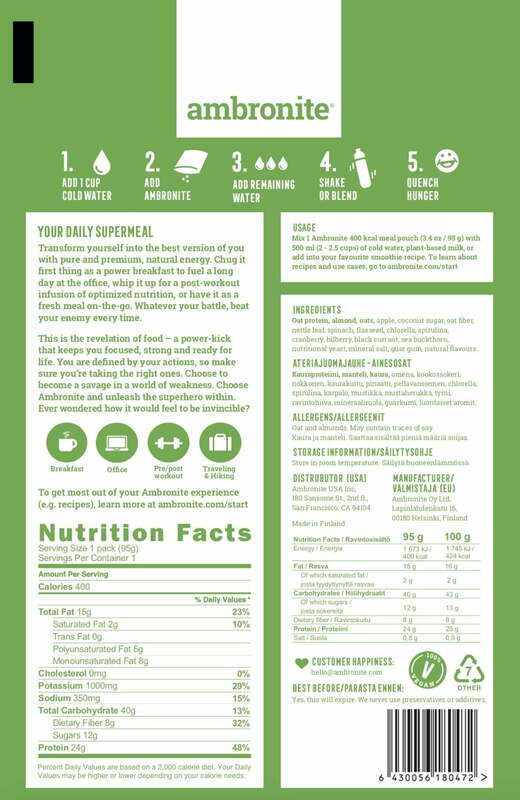 "Ambronite - Best Meal Replacement ever!" Ambronite is the best meal replacement ever! Only natural whole food ingredients, smooth taste and super-easy to use. I have my Ambrobite at least once per day, usually for breakfast, snack and/or when travelling. It gives energy and good feeling for the whole day! "great help for athletes caring about their nutrition and health"
Gorgeous team! The 400 kcal complete meal shake is the best pack they could design for an athlete like me. I travel around the world for races and training camps. I literally live in my bicycle bag. I am able to “throw” many of these packs in my bag and will have full meals during flights and whenever I can not cook. So this serving is very optimal. The new shaker is also very handy, allowing me to prepare my meal quick and neat. Ambronite made my life much easier, as a vegetarian ironman I do not worry as much about my nutrition as before. A BIG thank you! "Most convenient way to get your complete nutritional needs from REAL FOOD"
I’m a very happy customer! I love Ambronite! I haven’t found anything else on the market that compares to Ambronite. I’m grateful that this company provides a convenient way to get the vitamins and nutrients my body needs from REAL FOOD. And it’s affordable! I am a customer for life! I drink 2 shakes a day, one in the morning as a meal replacement and one along with my dinner, each with 5 scoops. Thank you, Ambronite, for providing me with an affordable and convenient way to be healthy. "Real food, high quality and quick meal "
I have been using Ambronite as a top up meal when I have a lot going on and less time for preparing meals myself. Particular during busy days at work in between coaching clients and meetings or after training, I like that I can know I getting the nutrition I need for energy, recovery and my health goals. The basic flavour and texture is what I would describe as real and natural; in other words it looks and tastes like real food has gone into the product as oppose to artificial flavours and ingredients. The newer products that have real food flavours from berries, apple and ginger or banana, are subtle in flavour and taste – so not too sweet and nice aroma. 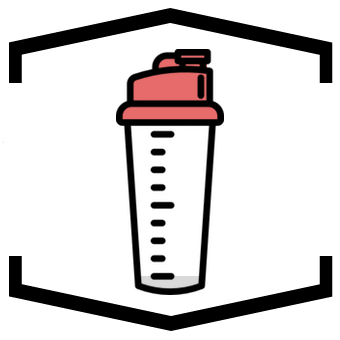 All the items that have gone into the product are shown and have a clear nutritional purpose. 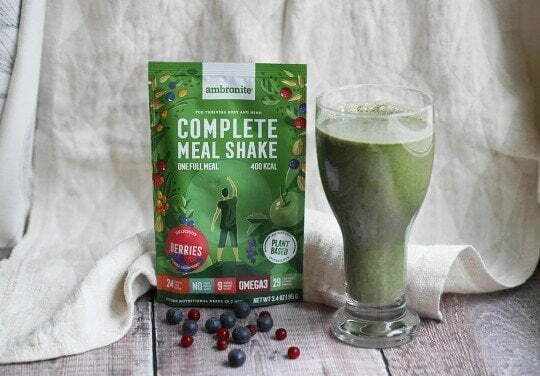 It is not the cheapest product but you get what you pay for – if you want a high quality meal replacement that doesn´t cut corners, Ambronite is for you. "Great solution as a quick healy meal"
"Good nutrition doesn't come cheap." I like it, but it’s too expensive to live off alone. The colour is the ‘healthy’ green of those disgusting soily drinks I used to have when I was trying to be healthy but the taste of Ambronite is far far better. The ingredients explain the cost, and it *is* worth it, but I still can’t rate them well for value for money just because it’s so much more than other brands and the advised serving didn’t get anywhere near filling me up (doubling it did though). If you’re after a healthy supplementary kind of drink like I am – it’s awesome – but if you want something to live off or swap out for a high % of your meals, you’ll be spending a fair whack. Your product is still as tasty as ever. I use it as breakfast and also as a snack in the busy afternoons. Keeps me going and I know that I get the nutrition my body needs. Ambronite is easy to mix and remains are easy to clean after the serving from the shaker. "Great tasting, High Quality, Nutritious and Super Convenient"
I have been using Ambronite for the last year and am really pleased with this product. I heard about it from a Ben Greenfield podcast and since he is someone I trust I gave it a try and have never looked back. I am vegetarain and don’t always have easy access to healthy protein and am very keen to eat clean. Ambronite had been a great addition to to my diet and I absolutely love it. I use it for days when I need a quick nutritious meal. It is filling, tasty and I definitely feel the difference in terms of my energy. My wife and I both use it and we really saw the effectiveness in the summer when we had travelled down to Somerset and had long hiking/walking days with using Ambronite as our main meal. We were able to have sustained energy that took us through the day. The great thing about this was we were able to take this on the go and very quickly mix up a complete meal. The mixture mixes very easily with water. You don’t need a blender and can just put in a bottle and shake or even use a spoon to stir getting a clump free and really tasty drink. I really like how the drink smells and tastes. You get the instant satisfaction of knowing that you are drinking something super healthy and bringing lots of benefits to your body. The most important bit for me is that I thoroughly enjoy that experience. Not trying to gulp down something that is healthy but tastes horrible. This really is super pleasant to drink and I enjoy every sip of it. You can choose whether you want one scoop giving you 10 grams of protein going up to 3 scoops. I tend to mix Ambronite with some MCT oil which also really makes a difference. Sometimes I will add an avocado to have a nice thick and filling meal. For me the last 12 months of incorporating Ambronite have been life changing with better health choices, having more energy and also losing belly fat. I am glad I came across it. I have a subscription to this product and will continue to use this. I haven’t tried other flavours in this and may do so in the near future. If you want a high-quality product at a really affordable price the Ambronite is definitely worthwhile to consider. I love Ambronite. I’ve already placed three orders with them and will def be back for more. Not only is the product great in any flavor, they customer care (i.e. happiness) is better than flawless. I can’t recommend it enough. I fast the traditional 5:2 way and on fast days Ambronite is a great way to make sure I get all the necessary nutrients. 10 stars. "Better than I had hoped"
My son has been using Soylent for about a year now, so I was familiar with the concept of Ambronite and excited to try something made from whole foods that I could offer to my son as an occasional alternative to Soylent. I decided to try it first and I was pleasantly surprised by the berry aroma when I opened the bag. The taste is not what I would call delicious, but it is mild and I think the aroma really helps. Long story short, my son still hasn’t tried it, but I was so impressed by the energy I had after drinking it and how good I felt that I’ve gone through several bags and started a more intensive exercise regimen. I have struggled with low blood sugar my whole life and I haven’t had one episode since I started drinking Ambronite. I’m thrilled with how good I feel! "All natural & tasty meal"
A couple of scoops works perfectly as a meal replacement and keeps me filled for a long time. The flavour on it’s own is quite good, however I like to mix Ambronite with freshly squeezed juice or oat milk. The product is slightly on the pricey side, but all the ingredients are natural and plant-based which is really important for me. All around thumbs up!